When we first started applying the 5 languages to work-based relationships, out initial focus of communicating appreciation within the workplace was on managers and supervisors. In the past, an employee’s relationship with their direct supervisor was found to be one of the most influential factors on whether or not the employee enjoyed their job. So, our early focus was on training supervisors and managers in how to communicate appreciation effectively to their team members. While this was a good starting point, we quickly learned that to focus solely on managers and supervisors was to narrow and was not all that was needed. Although most employees like to receive positive messages from their supervisor, hearing encouragement and support from their coworkers has become increasingly important. Receiving a compliment or having a colleague report to others how valuable your contribution was to the success of a project is extremely meaningful to more and more employees. Moreover, colleagues are the individuals who often seem to be most excited to learn how to support their peers. Team members repeatedly tell us that they want to learn how to encourage and support their colleagues. In fact, we are finding that the work groups that are most successful in creating a positive work environment are the ones where the manager understands and works to implement the principle of mutual appreciation and encouragement among team members. The biggest change to the workplace in the last decade has been the influx of millions of younger employees and the exodus of older generations. This shift has had a dynamic effect on the look, feel, and structure of workplace culture. Younger employees, as a group, tend to desire more collaboration in completing tasks. And as the proportion of employees and leaders from younger generations increases, the supervisor-employee relationship has declined in importance. In past decades, it was common to hear people say things like, “people don’t leave a job, they leave a supervisor.” However, recent employee engagement surveys have found that employee happiness is more closely correlated to the connections they share with their coworkers rather than those they shared with their direct supervisor. The new edition of The 5 Languages of Appreciation in the Workplace goes into more depth on both the benefits of peer to peer appreciation, the implications for action, and feedback from training participants. But our recent experiences make it clear that expanding the focus from expecting managers and supervisors to the sole “appreciators” to include peer appreciation creates numerous positive results for teams. Lightens the load (and perceived load) on managers and supervisors to provide all of the relational support within a team. Supports the focus of younger employees on peer relationships in the workplace. Allows for appreciation to be applied and communicated even if a manager/ supervisor isn’t interested or involved. 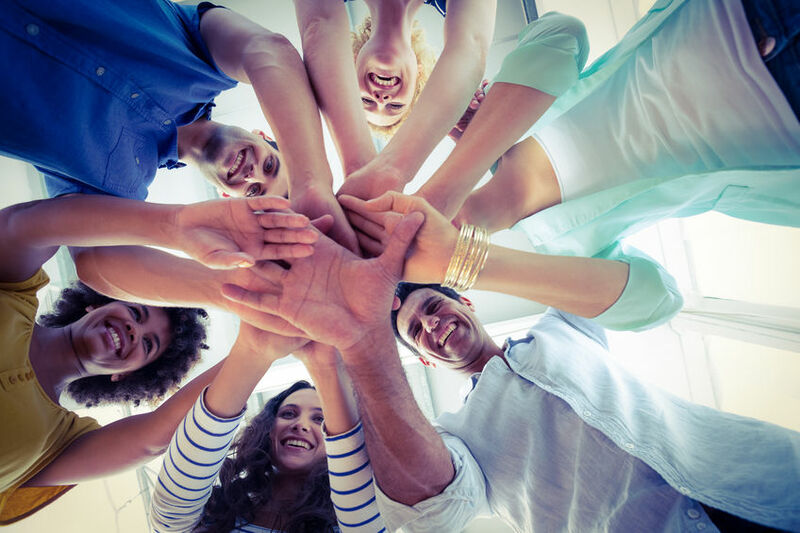 Keeps team members engaged and empowers them to make a difference in their work culture. Just to clarify, we’re not proposing that managers give up their efforts to show recognition and communicate appreciation to team members. But when employees and supervisors consistently and effectively communicate appreciation to their colleagues, positive results occur more quickly and are more dramatic in their intensity, and the “staying power” of their effect is longer lasting. A key action step is to have all team members take the Motivating By Appreciation Inventory and then fill out an MBA Inventory Group Profile for your team. Click here to see an example MBA Group Profile Sample. Authentic appreciation communicated from both leaders and coworkers leads to a positive, supportive work environment that others will envy. The result? Positive communication and improved morale to a level we never imagined! Below is a sample from the audiobook of the new edition.